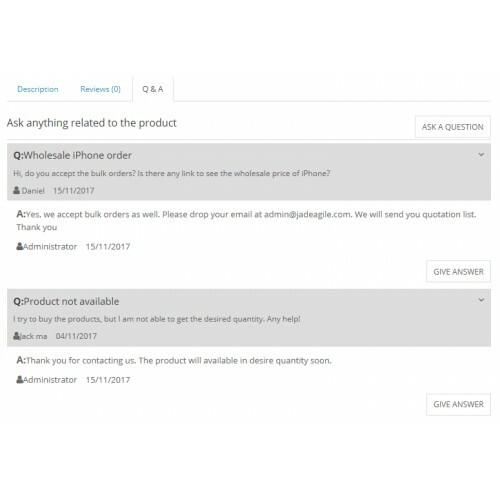 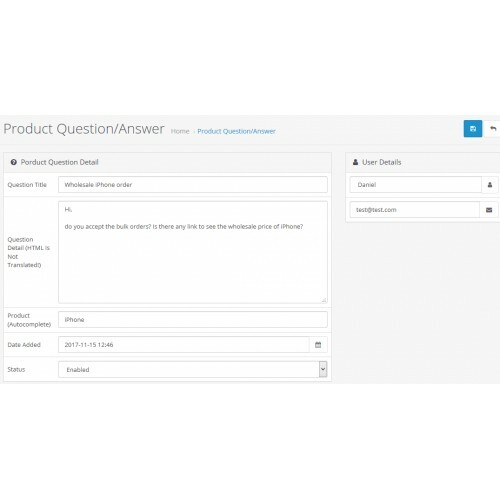 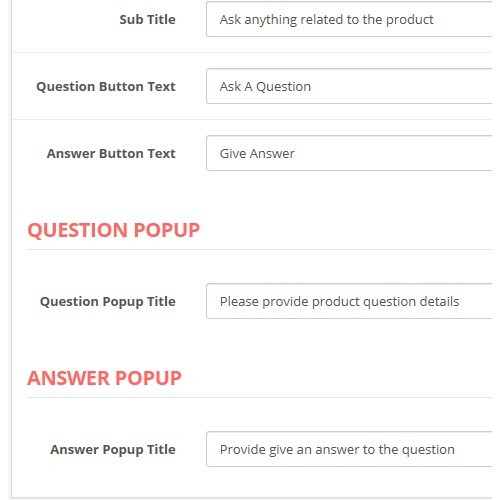 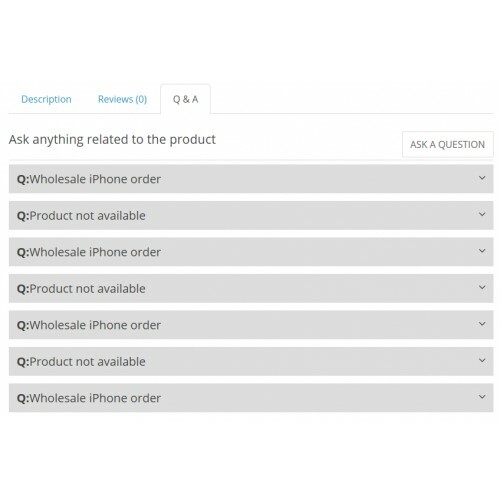 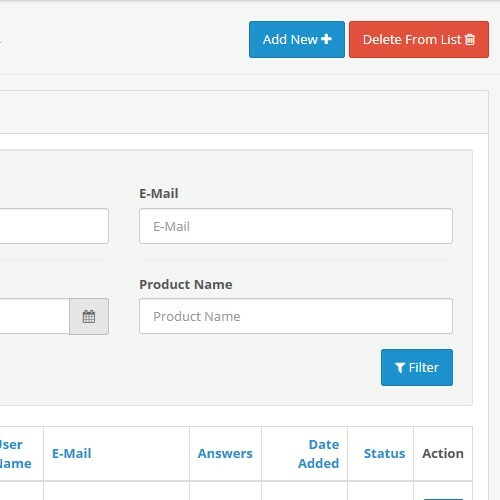 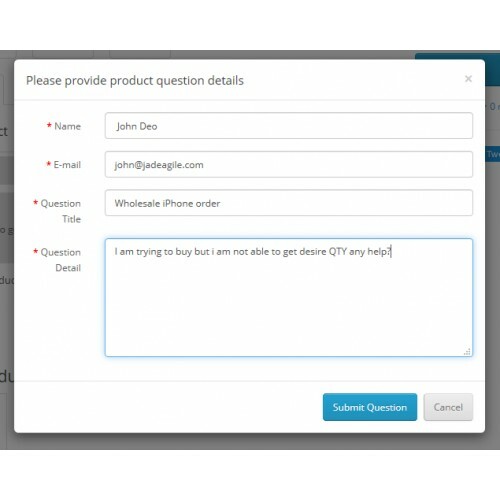 Allow users to ask any question regarding product. 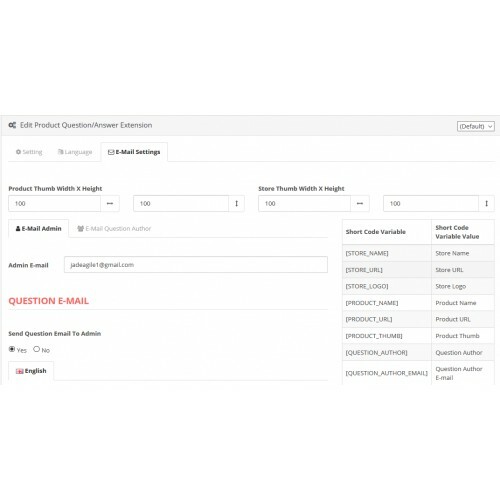 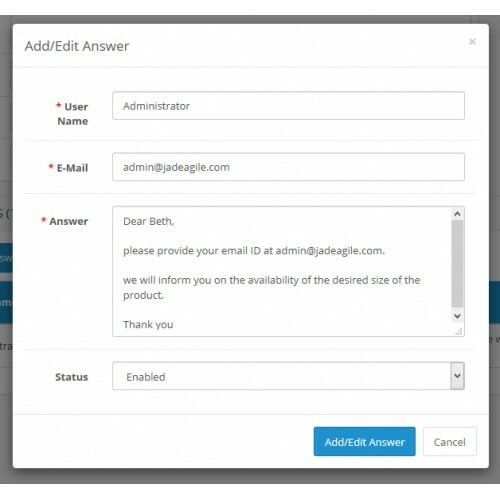 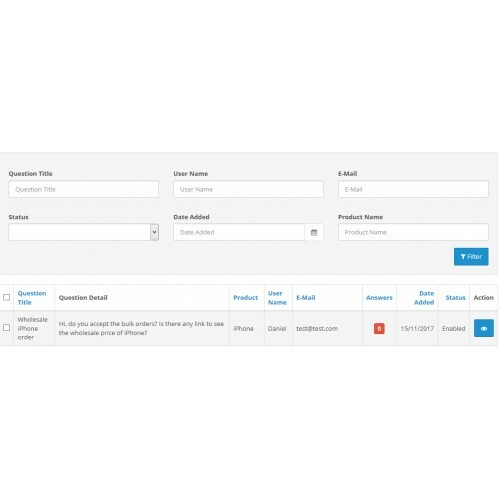 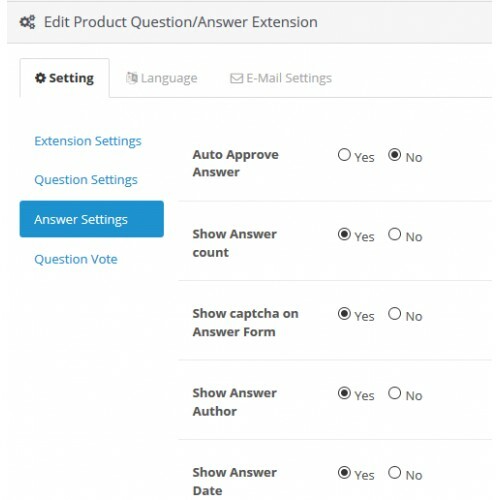 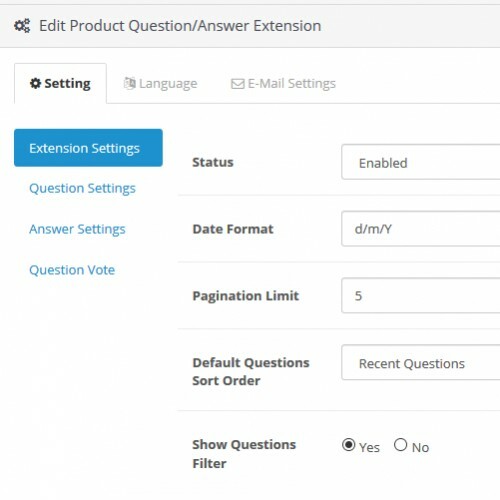 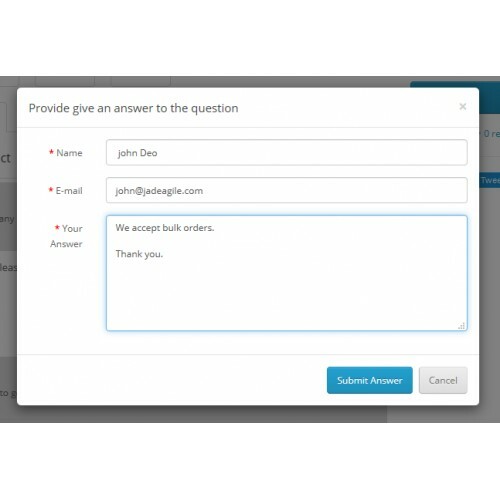 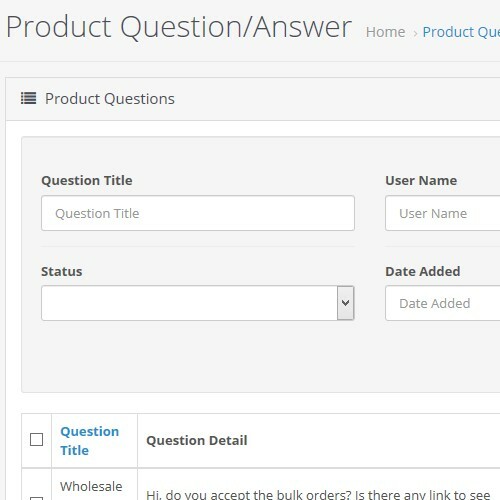 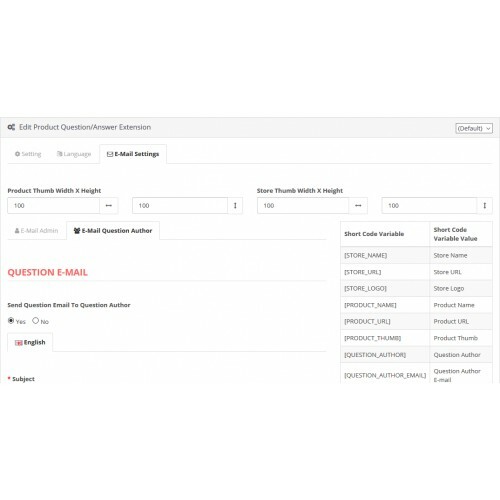 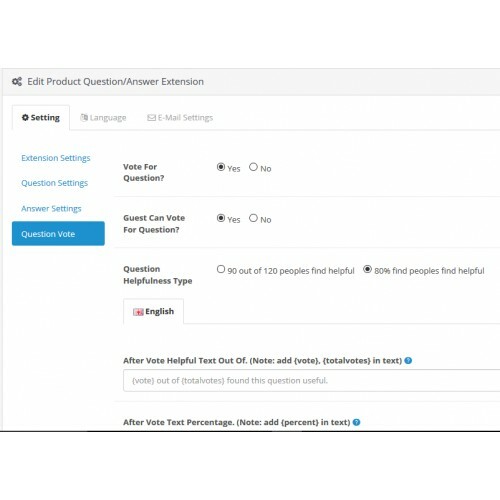 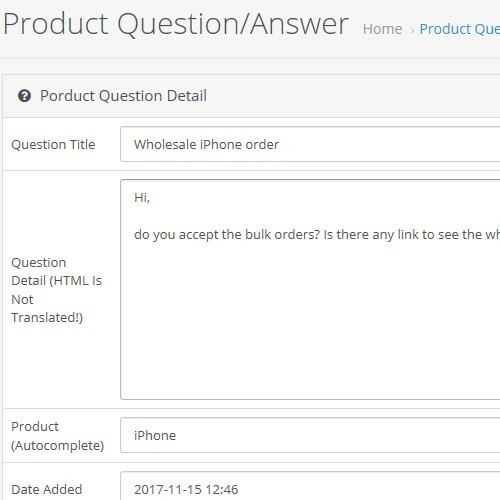 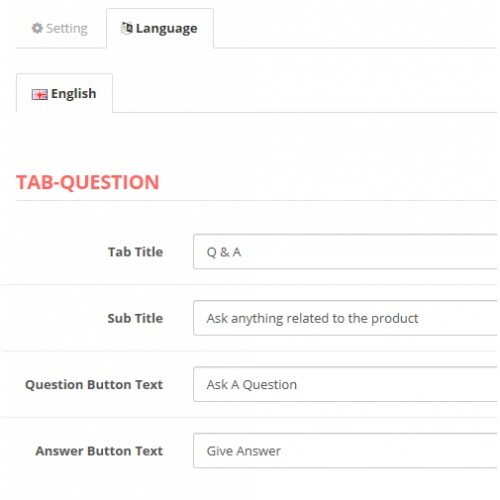 Users can view previous questions or add a new question and answer to existing questions as well on the particular product. 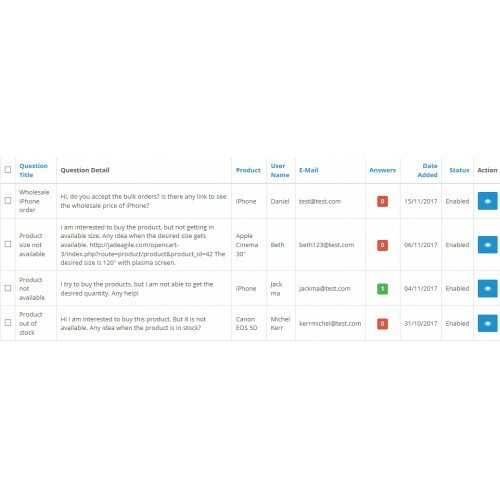 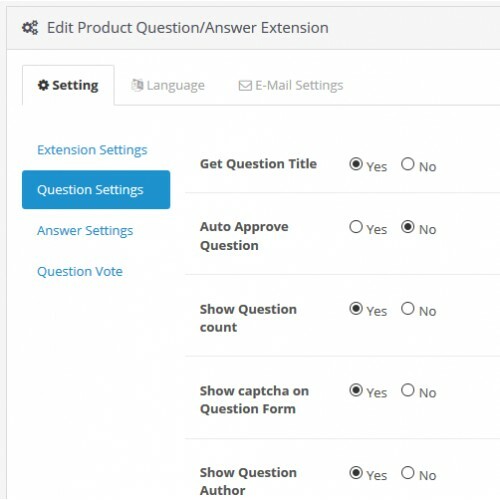 This extension be used to communicate with users using question/answers. 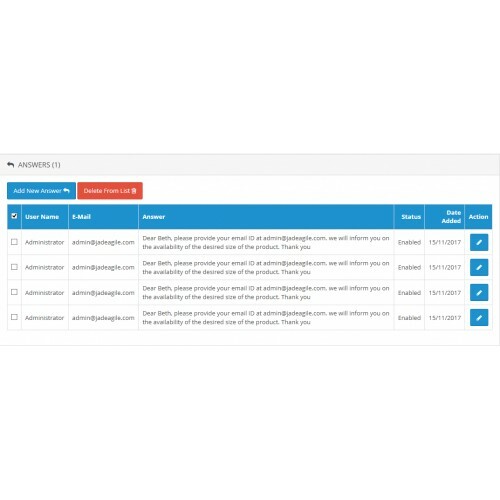 This extension is a fully stand-alone set of files, which doesn’t interfere with existing code nor modify core files. 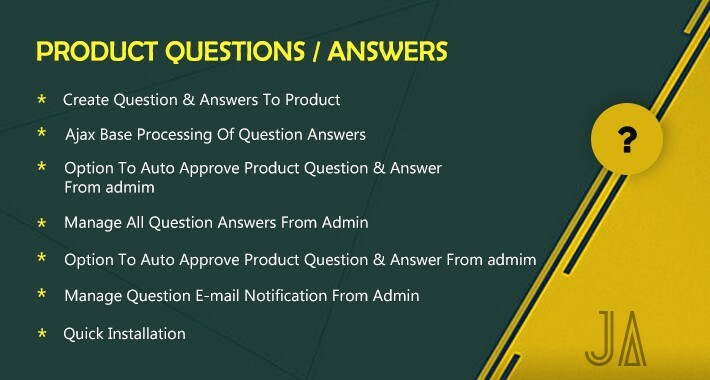 All modifications are done using VQMOD/OCMOD system.